I'm 14 years old, and I dance at a small dance school in the UK. The school is not just ballet, and the lessons are only 45 minutes long. I do RAD exams, and am currently in Grade 6, taking one lesson a week. My other lesson is Intermediate, although that is not for an exam, more for technique. I am not on pointe yet. I really want to become professional, but I can't figure out where to go. I can't find any serious ballet schools near me and I live nowhere near London. I've already started and settle in to secondary school, besides, full time ballet school would be too expensive, if I even got in. I don't want to give up my dream, but I'm at a loss as to what to do! Can you give me any advice? To:- Career Development Plan - Nowhere To Go? It sounds as if you are already doing an adequate amount of dancing and you seem very focused which is which is encouraging. professional ballet dancer is very extensive. Therefore, I do believe a full time ballet school will provide you with the most advantageous opportunities to become a professional. Do not forget, at a vocational school students can start training right up until they are 18. 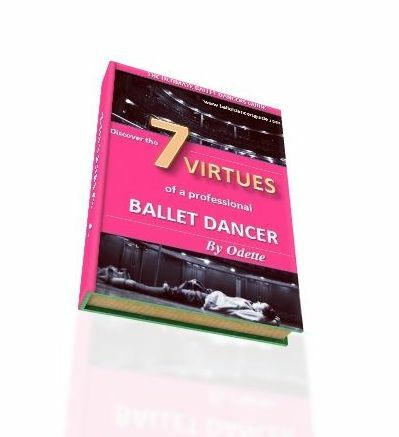 I have known of dancers who train within their hometown until the age of 16 and then move to a vocational school to pursue a career in ballet. Therefore, perhaps you could consider joining a full time ballet school at a later age once you have completed your time at the secondary school, as it is just as important to focus on your academic studies too. There are other serious ballet schools in the UK, not just London, where you can train such as Birmingham (Elmhurst School for Dance) and Leeds (Northern Ballet Academy). Vocational dance schools do also offer various scholarships which would help with the expense. Discuss your thoughts with your family and ballet teacher, as they may be able to further guide you. If you can't join a full time ballet school yet I would advise you to commit to your training. Work hard, remember your corrections, push yourself and keep striving.